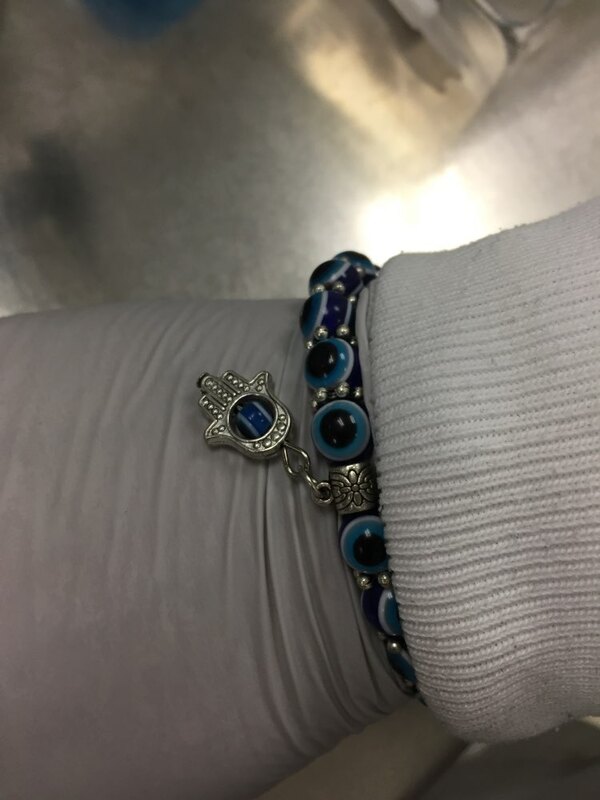 Our Blue Evil Eye Hamsa Hand Bracelet is a representation of protection, it also expresses blessings, strength, and energy. 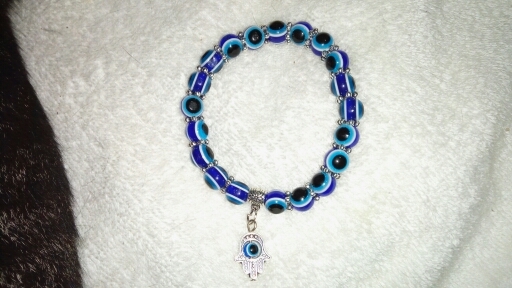 Hamsa hand is a pure symbol used in various cultures to guard them against evil and other negative forces. And of course, it looks beautiful and will be a glamorous jewelry. 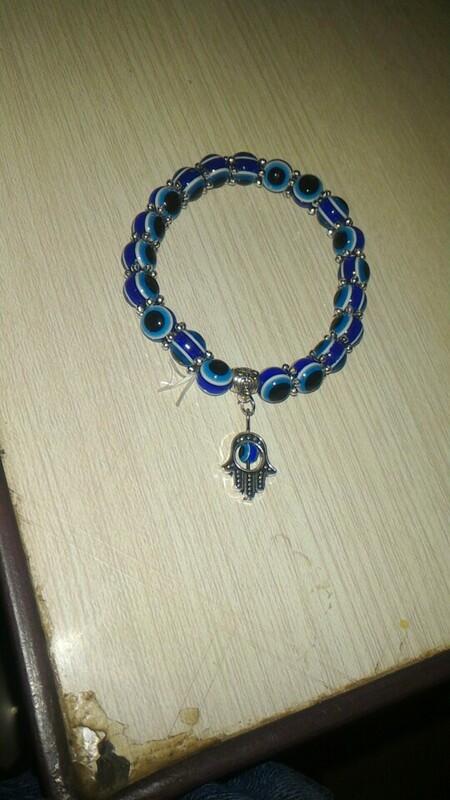 Includes an evil eye symbol, which is believed to guard against the evil eye. I am very happy to this purchase. Thank you very much!!!! 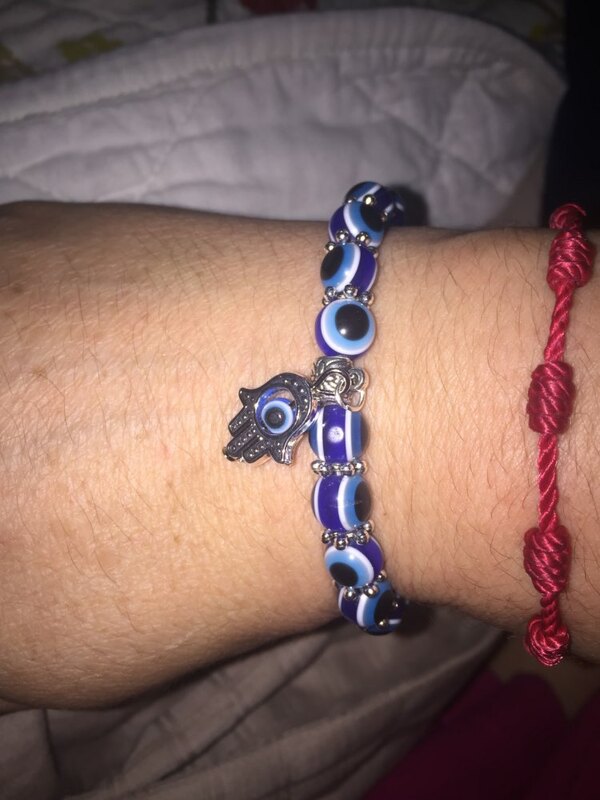 Güzel bir ürün. 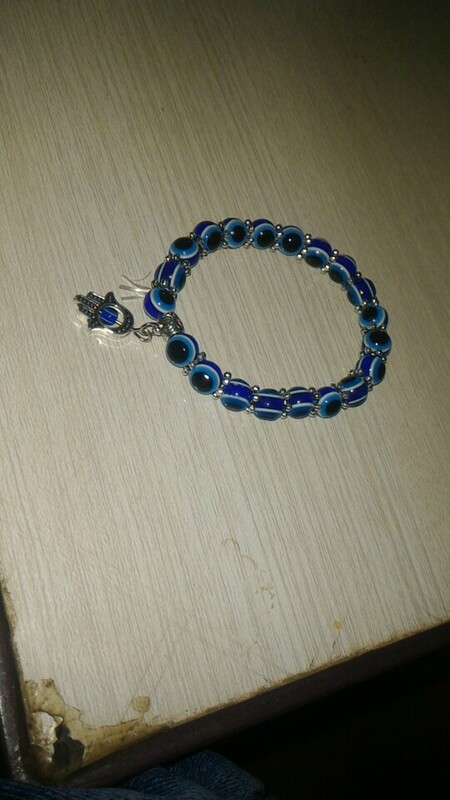 Teşekkürler. Beğendim. Симпатичный браслетик. Особо порадовало, что глаз, находящийся в подвеске, вертится вокруг своей оси. Доставили довольно быстро. 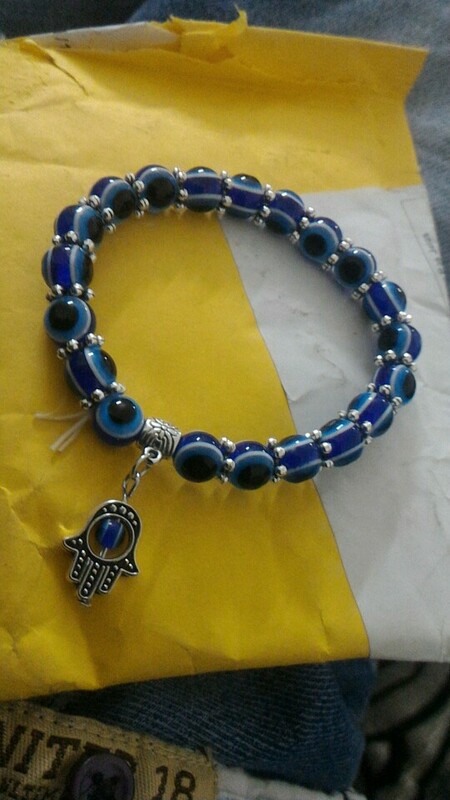 It's cute & arrived within the estimated delivery time.